The holidays are just around the corner, and I'm super excited about everything. Are you also in the holiday spirit? 😀 Everyone wants to look their best on Christmas or New Year's Eve, and that includes clothes, hair and makeup. New Year's Eve is a great opportunity to get dressed up and put on your sparkliest outfit, but it's also a great opportunity to try out different hairstyles. So why not try out some cool wigs or extensions? VeryHair offers a wide variety of wigs and extensions in all hair colors, which makes it perfect for playing around. Say you want to change the color your hair, but you're not sure how you will look with this new color. Well, wigs might be a great solution for you. This way you can be sure you will like your future hair color, or you might realise that this color is not for you. Better than to color your hair and then see you don't like it, right? On the other hand, it also might be pure fun to try different wigs! if you have a party or an event you're attending, it would be so much fun to surprise everyone with a new hairstyle! The best is that no one will know you're wearing a wig if you don't tell them. It can be your little secret if that's what you want. 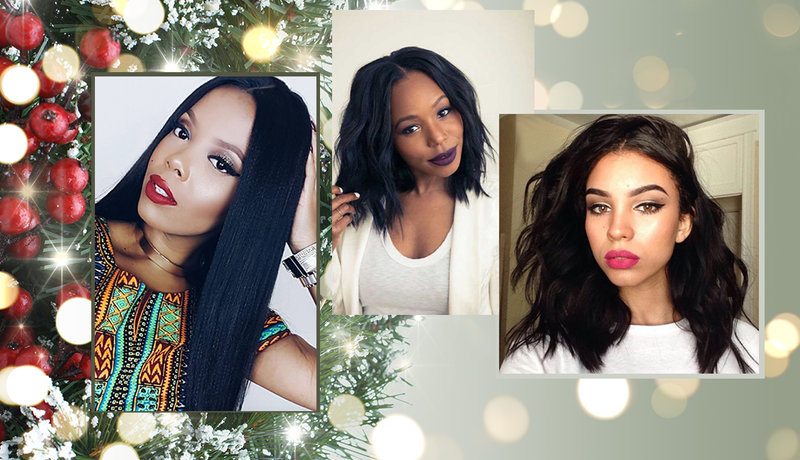 Have fun during these holidays and try out some cool wigs, you can't go wrong!